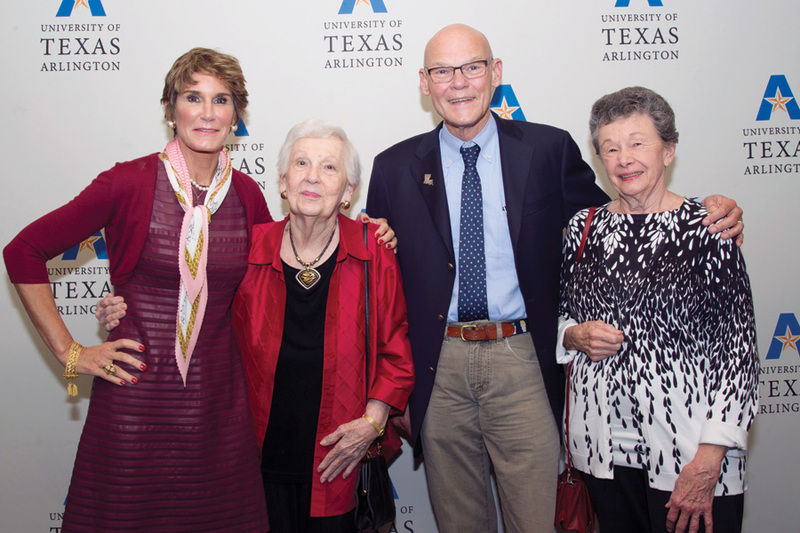 Mary Matalin, Dorothy Estes, James Carville, and Audrey Wick at a reception in October before Carville and Matalin’s Maverick Speakers Series lecture. 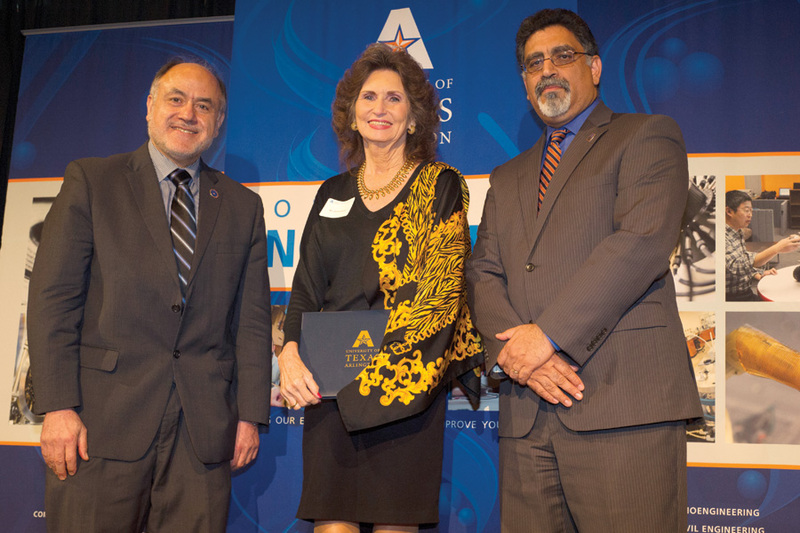 College of Engineering Dean Khosrow Behbehani, Bonnie Dowdy, and President Vistasp Karbhari at an endowment luncheon in October recognizing engineering donors. 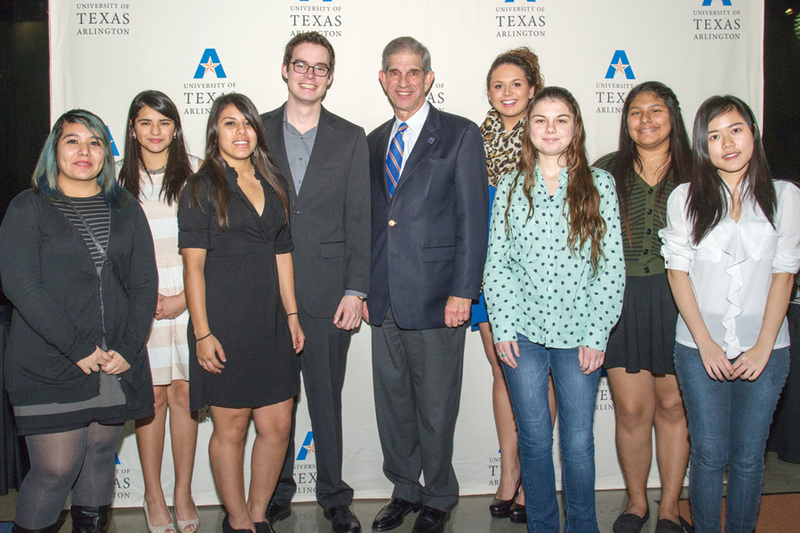 UT Arlington hosted representatives of the Fort Worth-based Mary Gourley Foundation and scholarship recipients at a luncheon in November. 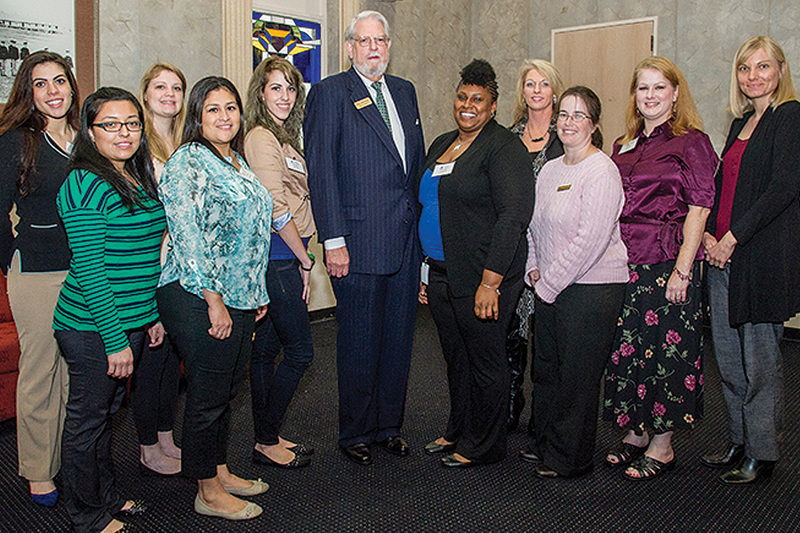 Former UTA President Jim Spaniolo, center, with recipients of the James D. Spaniolo First Generation Scholarship at a reception in November.